It must be 6:00 on May 21st somewhere in the world by now and no rapture has taken place. Not that I thought that it would. Only humans would be arrogant enough to think they could predict the end of times. Ridiculous! So I'm having a little fun with the silliness of the whole rapture thing. 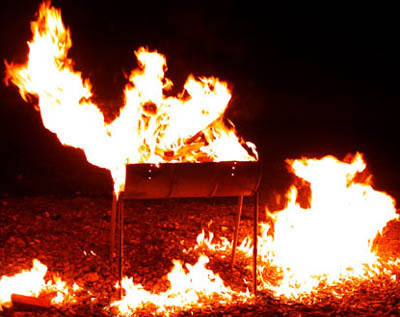 On Sunday I'm having a Welcome to the Pit: Post-Rapture BBQ for my friends, the sinners, who weren't taken up during the supposed rapture. Yay! I guess my inappropriate friend Selena was correct: our sacrifice of the Macho Man worked. Ooooh... low blow... too soon? Sharing this confession with the wonderful ladies over at All Work And No Play Makes Mommy Go Something Something. Write your own end of days... er... 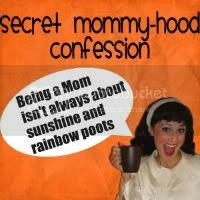 I mean... secret mommyhood confession and share!